Includes Premium cover and Original Box! 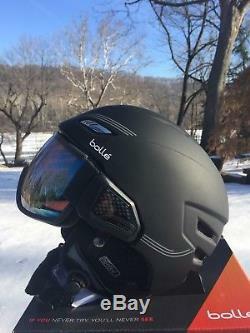 The Bolle Osmoz is a lightweight Ski/Snowboard helmet with a built in visor, perfect for those who prefer not to wear goggles or sunglasses on the mountain. 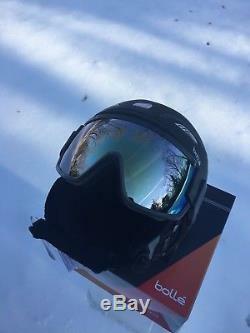 This goggle/visor combo and will fit over most prescription glasses and provide protection against falls and provide exceptional vision when on the mountain. The In-Mold construction comprises of a tough polycarbonate outer shell that has impact absorbing EPS foam sprayed directly into it to form an inseparable unit that offers maximum impact absorption, ding resistance, insulation and an overall low profile look and feel. The integrated venting ensures a constant airflow is passing throughout the helmet that acts to regulate temperature and prevent the visor from fogging up. 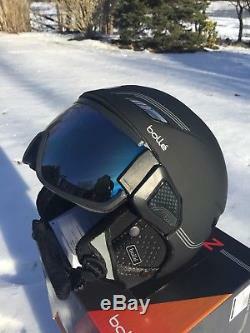 The visor is a high quality lens, that can be interchanged dependent upon the conditions. 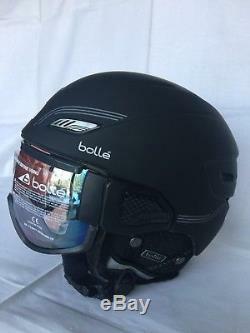 A rocking system allows the visor to be easily and safely lifted onto the top of the head when not needed. 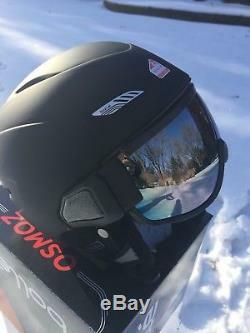 This helmet/visor combo is an excellent choice for those who do not enjoy wearing goggles/sunglasses but want protection and excellent visuals when on the mountain. 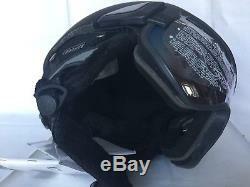 Ventilation: Open Vents running throughout the helmet structure. Audio: Compatible with most Aftermarket Audio Drop Ins. 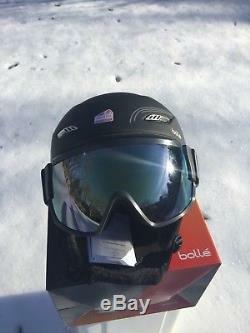 Goggle Compatibility: Built in Visor - Rose Gun Lens, Soft Black & Grey. Certification: EN 1077 & ASTM 2040. 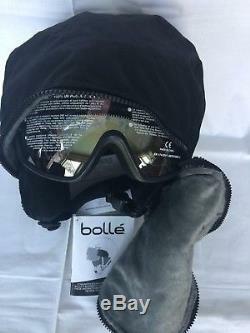 The item "Bolle Ski Snowboard Helmet with Visor Googles Black M 53-56cm New in Box $300" is in sale since Monday, October 15, 2018. 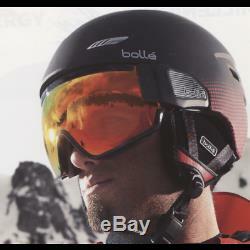 This item is in the category "Sporting Goods\Winter Sports\Clothing\Protective Gear". The seller is "yanagreatdeals" and is located in Huntingdon Valley, Pennsylvania. This item can be shipped worldwide.